How about a little classic modern style to brighten this dreary day? 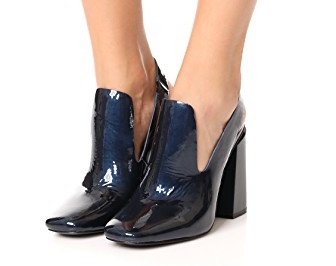 Though these sleek Sigerson Morrison Janet Slingback Pumps are in a glossy navy hue, it's stylish silhouette will surely bring you smiles. 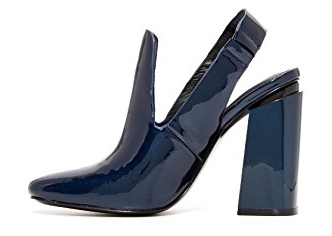 It features a glossy patent leather upper, slingback strap with elastic insert, and a 4" sculpted, block heel for a long, lean look. It's stunning heel that will compliment any look. What makes these darlings even better? 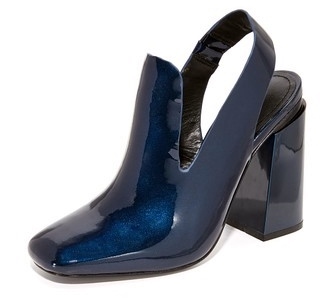 Originally available for $350.00, you can now score them for $245.00 on www.shopbop.com.